In today’s Nigeria, where the economy is consistently on the downward trend, raising healthy and happy children poses a great challenge. This is not helped by the poor state of the country’s healthcare which has given rise to high child and maternal death rate. The United Nations Children’s Fund (UNICEF) recent statistics indicates that every single day, Nigeria loses about 2,300 under-five-year olds and 145 women of childbearing age, making the country the second largest contributor to the under-five and maternal mortality rate in the world. Incidentally, this high mortality rate of mother and child can be reduced through family planning such as abstinence, natural planning, use of contraceptives, hormonal birth control, etc. 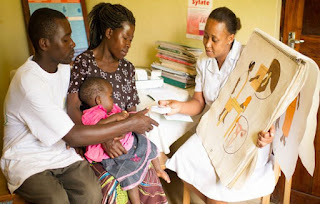 However, lack of child spacing has been identified by health experts as one of the highest contributors to high mortality rate of mother and child. A study conducted in 2017 and published online by BMC Women’s Health in a qualitative study among urban Nigerians reports that inadequate birth spacing is perceived as riskier than all family planning methods, except sterilisation and abortion. This shows the need for couples to regulate the intervals between pregnancies, to promote safe pregnancy and birth of healthy babies. Indeed, birth spacing has other advantages. For instance, it enables the body of the mother to have enough time to replace lost nutrients after birth before another pregnancy. Thus, she would have more energy and ample opportunity to bond with her child. Moreover, parents would have more time and less financial stress in caring for the family. Furthermore, the baby born at the expected time would have a healthy weight, develop very well and consequently perform well in school because the mother has enough time to nurse it. On the other hand, lack of child spacing may result in having unwanted pregnancies that may also lead to unsafe abortions. It is of common knowledge that couples who fail to plan their family often run into the problem of having unwanted pregnancies. When that happens, they may resort to having the babies aborted. Worst still is where such abortion is carried out by quacks under unhygienic conditions. Such abortion may even complicate matters resulting in ailments such as abdominal pain, abnormal vaginal bleeding, vaginal infection or infertility. Other health issues such as high blood pressure, anaemia, uterine and placenta problems may arise from unsafe abortion. Regrettably, abortion may lead to death. This is apart from the fact that abortion is illegal in the country. It costs a lot to maintain the health of babies born at short intervals because they are susceptible to frequent ailments. Studies have shown that the children of couples who adopt family are healthy, beautiful and bouncing with less medical attention. Perhaps, Federal Ministry of Health and other interventionist agencies should invest in child spacing programmes to prevent high infant and maternal mortality rate in the country. Since ignorance is at the root of the problem, adequate child spacing should be an integral part of pre-natal and ante-natal programmes in our health institutions. The government needs to re-evaluate the country’s health education programmes in schools with the objective of emphasising on health benefits of child spacing and other family planning methods. This is important as a healthy family is a healthy nation. Also, Churches and faith-based organisations should place a premium on a pre-marriage course so that intending couples would be well-equipped to confront the challenges of childbirth, upbringing, spacing etc. Couples should know that failing to plan their families is planning to fail.